The universe of exchange traded products has experienced explosive growth over the last decade, and its continuing to grow. 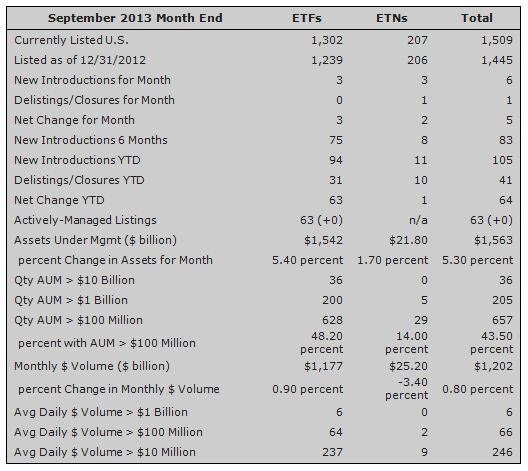 As of the end of September there are now 1,509 exchange-traded products (ETP): 1,302 ETF’s and 207 ETN’s. During the month there were six new ETPs that came to market (three ETF’s/ three ETN’s). There was also one ETN closure, dropping the net increase to five ETP’s for the month. This level of product expansion in ETP’s represents a slowdown from the rapid pace in recent years. In 2009, product expansion had slowed to a 12 month moving average rate of 10 and peaked in February 2012 at 28.6. Despite the slowdown in new product expansion, ETP’s continue to garner assets. In September, overall assets climbed 5.4 percent to $1.56 trillion. 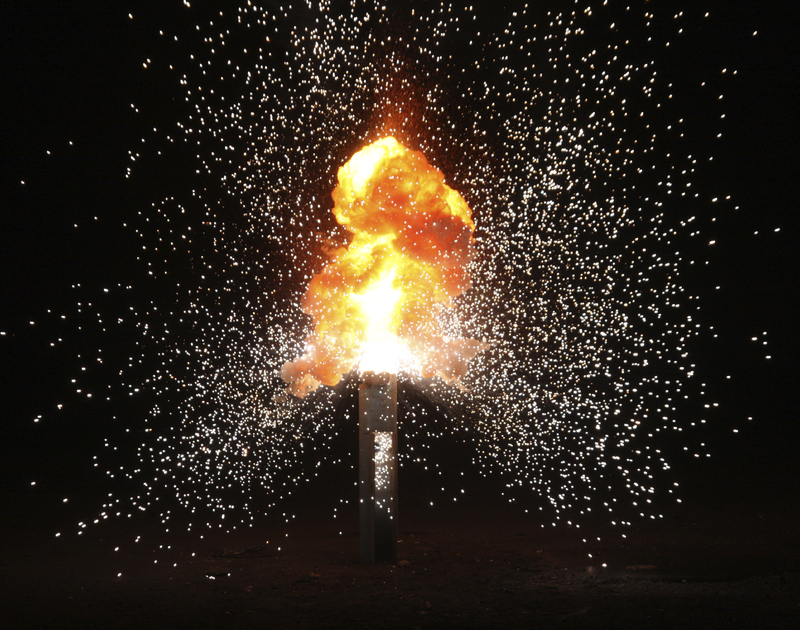 So how do ETFs regain their product growth momentum? Many in the industry believe product growth could come through actively managed ETFs. Currently there are 63 products with $15.4 billion assets under management (AUM) that are actively managed, representing just 4 percent of the total ETF universe and 1 percent of the AUM. In September, T Rowe Price filed with the SEC for multiple actively managed ETFs, joining Eaton Vance, BlackRock, Vanguard, and State Street who have previously made similar submissions. An ETN is a type of unsecured, unsubordinated debt security that was first issued by Barclays Bank PLC. This type of debt security differs from other types of bonds and notes because ETN returns are based upon the performance of a market index minus applicable fees, no period coupon payments are distributed and no principal protections exists. An ETF is a type of investment company whose investment objective is to achieve the same return as a particular market index. An ETF is similar to an index fund in that it will primarily invest in the securities of companies that are included in a selected market index. An ETF will invest in either all of the securities or a representative.